Fox Kids Dentistry and Orthodontics follows the proud legacies of Dr. Michael Royse and Dr. Duane Paulson, who opened the doors to the practice in 1975. We are happy to serve and treat what has now become generations of Portland families. Historically, the office has primarily offered dentistry for children, but now we’re proud to offer braces too! 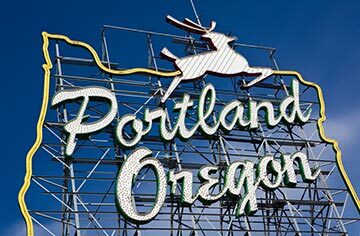 We are located in the heart of downtown Portland on the 8th floor of the Portland Medical Clinic building, located on SW 10th Ave & Washington. In addition to the extraordinary, unobstructed views of the West Hills, we offer an intimate environment for your kids, so they feel more comfortable in their dental home. Is downtown Portland a bit of a hike for you? No worries! Feel free to visit us at our sister site, Sprout Pediatric Dentistry & Orthodontics, in the Buckland neighborhood. Worried about parking? Don’t be, because that’s on us! We happily validate for the SmartPark parking garage on SW 10th & Yamhill, just one block up the street from our practice. Parking is paid by us for the time you spend at the office!